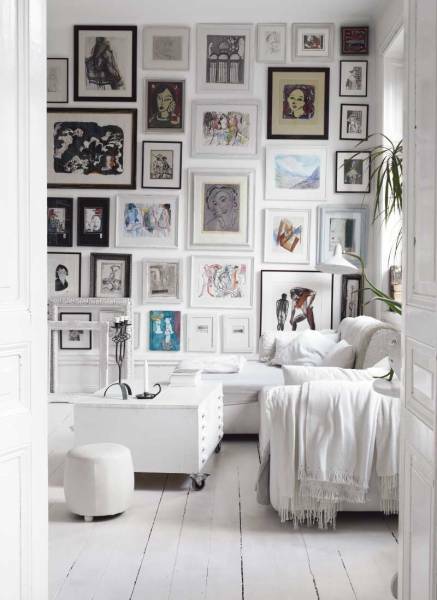 I love a good gallery wall. I have to restrain myself from making every wall into a gallery wall. Even though I generally prefer color, and lots of it, I really like all the white in this room. « Treasures in the Trash.